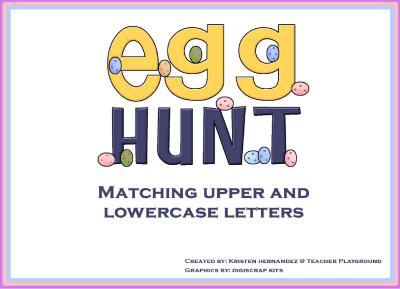 Use this center activity for students to practice matching upper and lowercase letters together. This set contains directions, uppercase & lowercase baskets, 52 letter eggs, and recording sheets. Students will sort the letters and place them onto their correct basket and then record where they placed the letter. This activity set is Easter themed & can be used for any students needing help differentiating between upper and lower case letters. 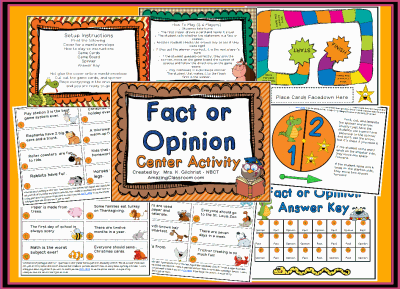 This fact or opinion center or station game is tons of fun! Your students will read cards and determine if they are a fact or an opinion. The students will check each others' answers with a provided key. They will move along the colorful game board until one is declared the winner! This center includes: a cover page for a manila envelope, setup directions, how to play directions, game cards, a spinner, and an answer key! Enjoy! 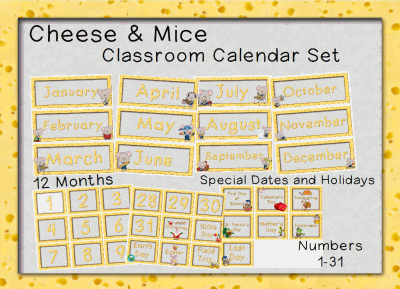 Jazz up your classroom calendar with this adorable "Cheese and Mice" calendar set! This set includes numbers 1-31, all 12 months, special days including: field trip, first day of school, last day of school, Easter, Christmas, Halloween, Earth Day, Valentine's Day, St. Patrick's Day, 100th Day, Thanksgiving, and Mother's Day. This adorable and cheesy set will be so cute in your classroom. Enjoy! 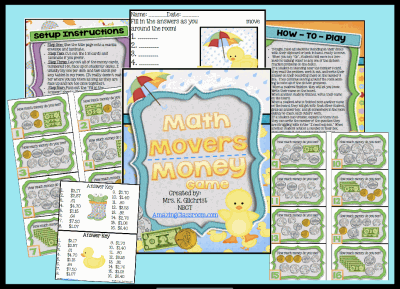 This Math Movers Money Game for your ENTIRE CLASS will be great to review counting money with dollars and coins. This game includes a cover sheet for a manila envelope, setup instructions, how to play instructions, rounding game cards, student recording sheet, and an answer key. This game is for all of your students to play no matter how many students are in your class. Read the "How to Play" instructions to get started. Enjoy! 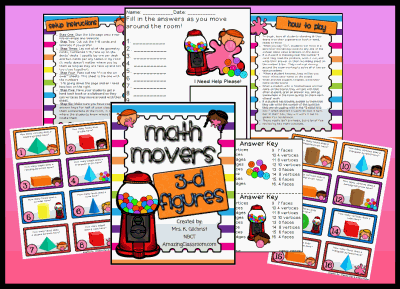 This Math Movers Rounding Game for your ENTIRE CLASS will be great to review attributes of 3-D figures. This game includes a cover sheet for a manila envelope, setup instructions, how to play instructions, rounding game cards, student recording sheet, and an answer key. This game is for all of your students to play no matter how many students are in your class. Read the "How to Play" instructions to get started. Enjoy! 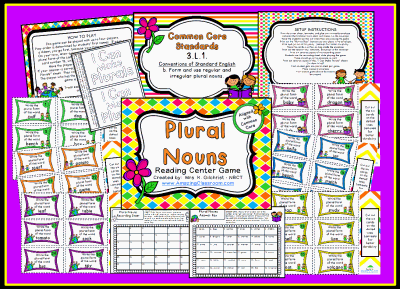 Your students will be able to make singular nouns plural with tons of practice playing this fun reading center game. This set includes a cover sheet for a manila envelope, common core standards, how to play instructions, a setup pages, 36 game cards, a plural nouns recording sheet and answer key, and a tally sheet. Check out our Plural Nouns Flipchart Lesson to help teach this skill/strand to your students! 15 pages in all, enjoy! 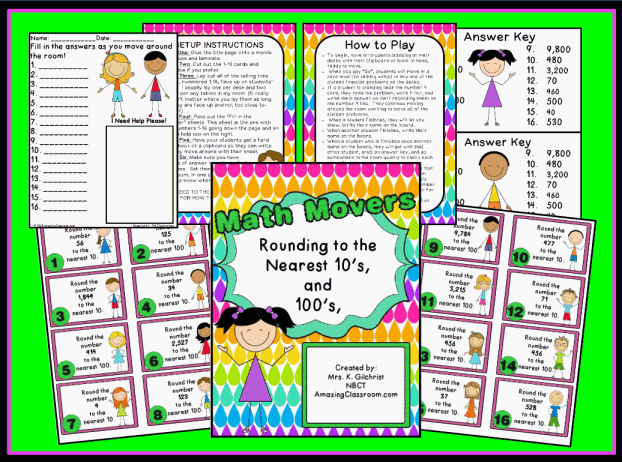 This Math Movers Rounding Game for your ENTIRE CLASS will be great to review rounding to the nearest 10's and 100's. This game includes a cover sheet for a manila envelope, setup instructions, how to play instructions, rounding game cards, student recording sheet, and an answer key. This game is for all of your students to play no matter how many students are in your class. Read the "How to Play" instructions to get started. Enjoy! This worksheet contains 81 rounding questions. Students will have to round numbers to the nearest 10 and 100, with the place values at 10 and 100. 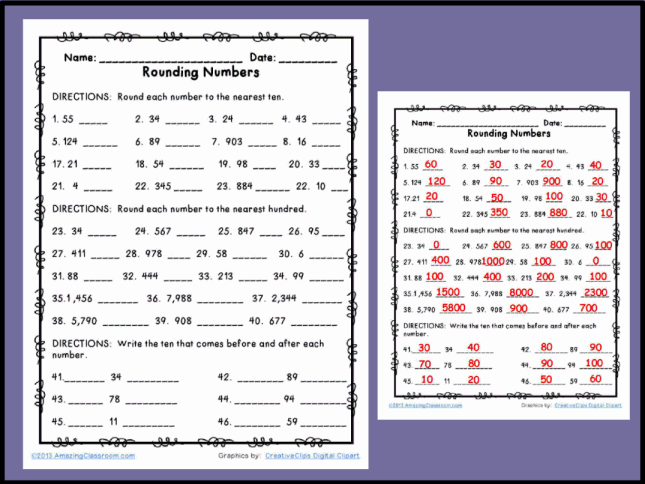 Then, the worksheet progressively gets more difficult as the students have to round to the nearest 10, when the place values extends to the hundreds place, and rounding to the nearest 1,000, when the place value is either in the 100's or 1,000's place. This activity page includes an answer key! Enjoy! 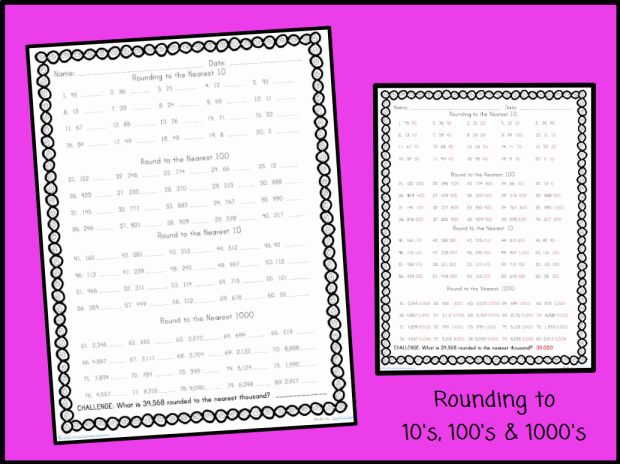 This worksheet has multiple problems for your students to round numbers to the nearest ten and hundred. The students will have to use their place value skills to round the numbers on this worksheet. An additional set of questions, allows for students to find the tens that come before and after the numbers. Use this as a formative assessment, review, independent practice, or homework. An answer key is provided for easy grading. Enjoy! 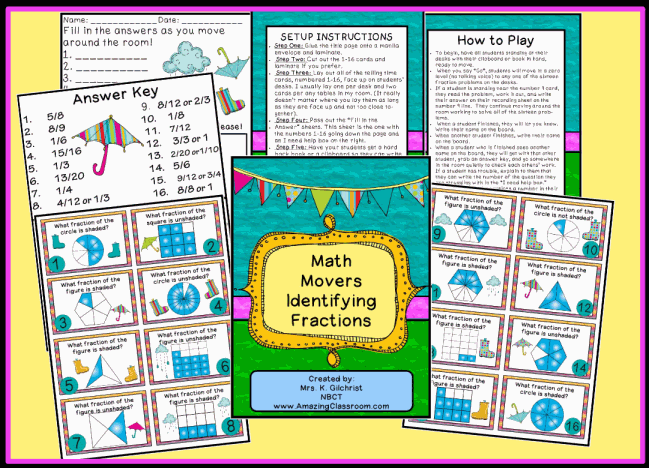 Your students will have so much fun identifying fractions with this Math Movers game. This game is for your entire class to play. Use it as review, or a way to formatively assess your students. It comes with a cover for a manila envelope, setup instructions, how to play directions, game cards, recording sheet, and an answer key. Enjoy!